Price list with MSRP only. 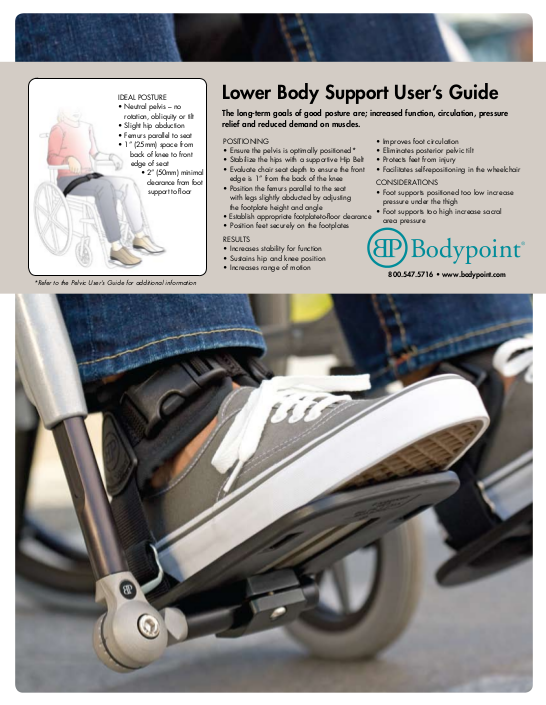 Created by therapists, the Bodypoint User Guides are clinical "cheat sheets" for application-based positioning objectives and solutions. The trunk is important to postural alignment and stability as it dictates the position of the head and upper extremities. The long-term goals of good posture are; increased function, circulation, pressure relief and reduced demand on the muscles. The pelvis is the key to postural alignment as it dictates the position of the trunk, head and extremities. Choose the right trunk support for comfort, fit and function. 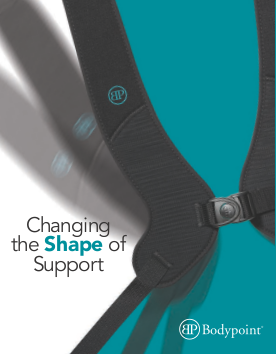 This brochure compares our shoulder and chest harnesses to help you find the right product for your individual needs. 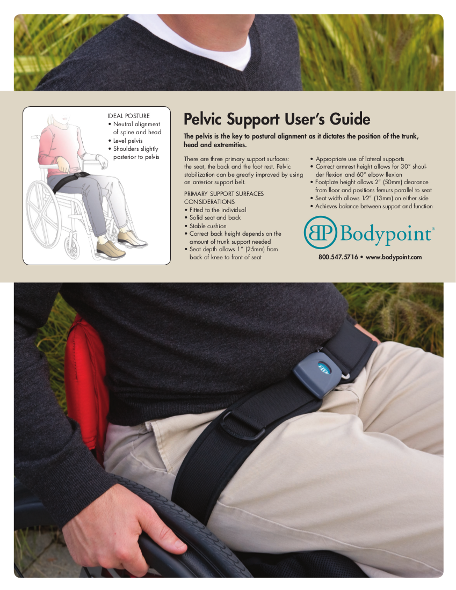 See why the PivotFit� outperforms the standard style H-harness. 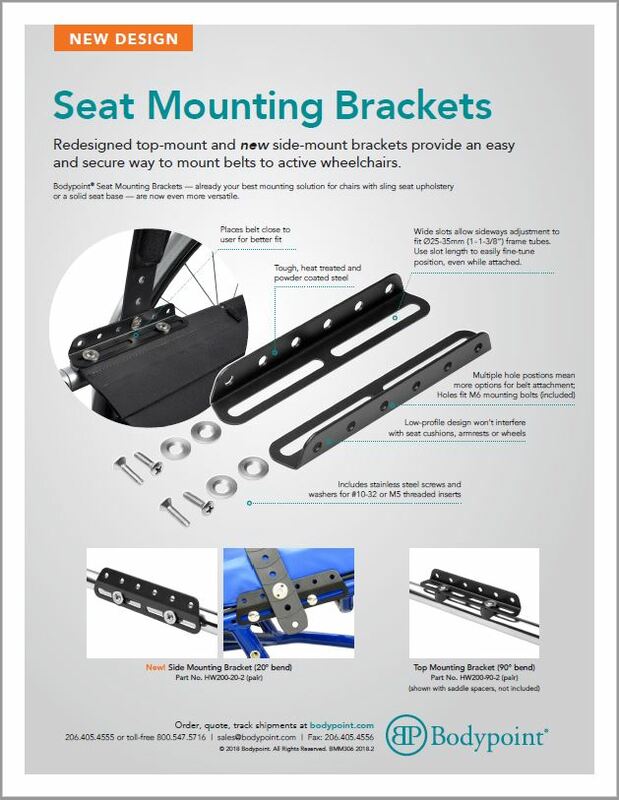 Learn how Bodypoint is leading the way in testing products to the ISO / ANSI RESNA/ EN wheelchair seating standards. A resource manual that translates the content of ISO 16840 Part 1 Wheelchair Seating and RESNA WC-3 Wheelchairs Volume 3: Wheelchair Seating. Developed to promote the adoption of standardized terminology related to wheelchairs and wheelchair seated posture. A guide to consult when faced with the question of a wheelchair positioning product perhaps being misconstrued as a restraint.